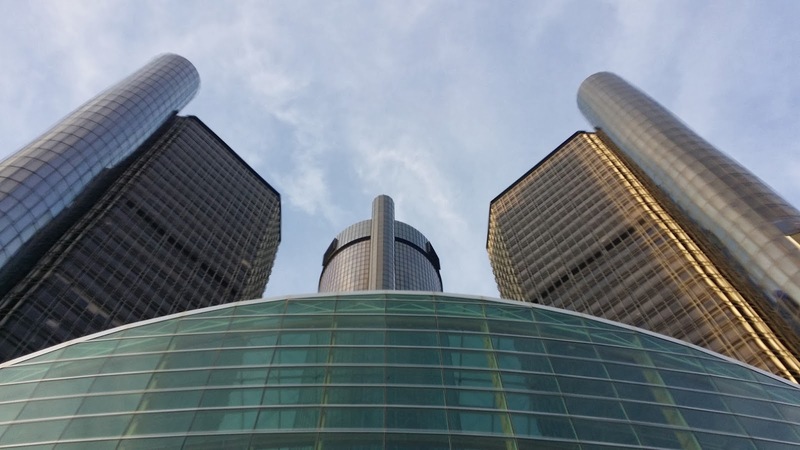 Thanks to GM Canada, I had the opportunity to visit the North American International Auto Show - NAIAS in Detroit, Michigan for the Media Preview. 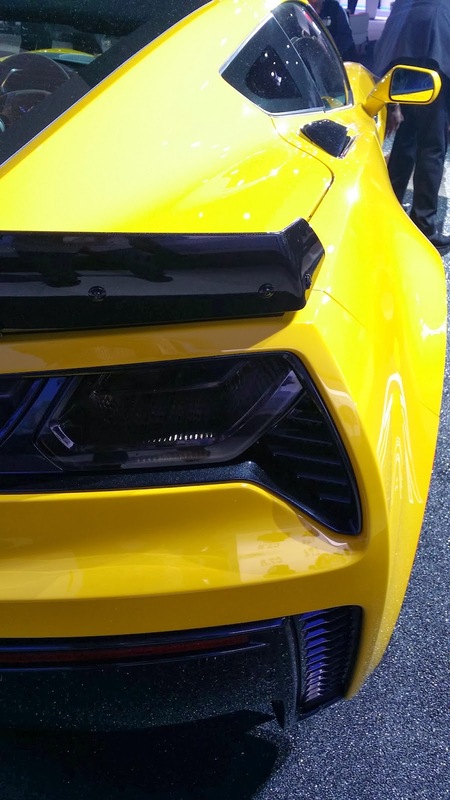 The NAIAS is one of the biggest Auto Show's in the world. I had the honour of staying at the GM Renaissance Centre which is an architectural and futuristic style building. The NAIAS started with the announcement that GM/Chevrolet Won the Best North American Car and Truck of the Year Awards with the Corvette Stingray and Silverado. 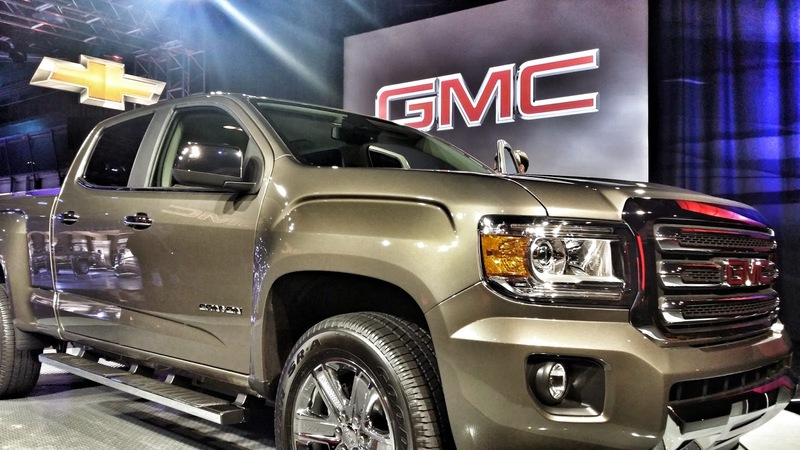 GM was quite the talk and buzz during this Auto Show with the sweep of the awards! I also had the opportunity to visit the OnStar research facility located at the GM Headquarters in Detroit. I had a chance to see the plans for making the GM brand cars become advance mobile units on wheels. 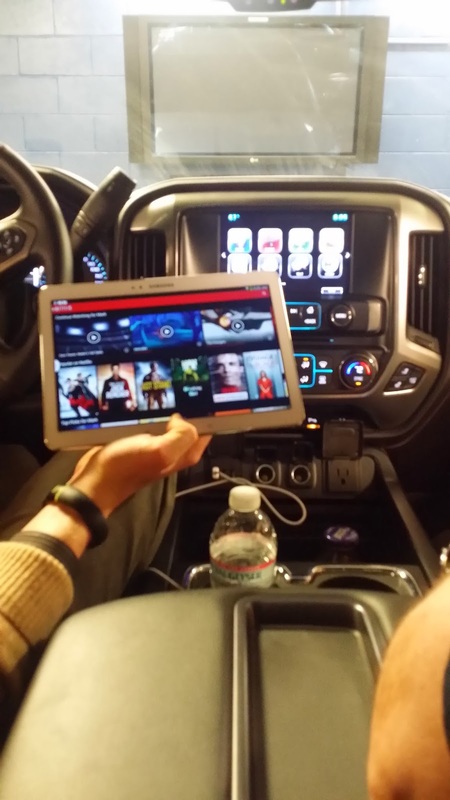 Showcased was the use/sync of a Samsung tablet with the in car dash. Imagine being able to tell if you have enough tire pressure from your car dash. The technology seems to make driving more enjoyable and safer which is good for customers like us. I really like how technology has made driving safer and GM is making strides in this capacity. GM has actually opened up the opportunity for developers to create apps via Developer Portal by releasing their API. During this trip, I had the honours of having dinner with the President of GM Canada, auto media and lifestyle enthusiasts at the GM Heritage Centre. 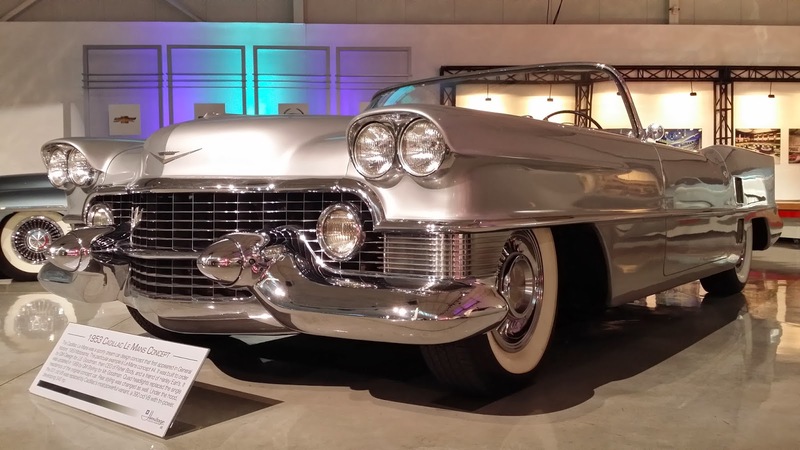 The Heritage Centre is home to every model and make of GM cars throughout it's history. It's quite the selection of cars and I was extremely impressed. 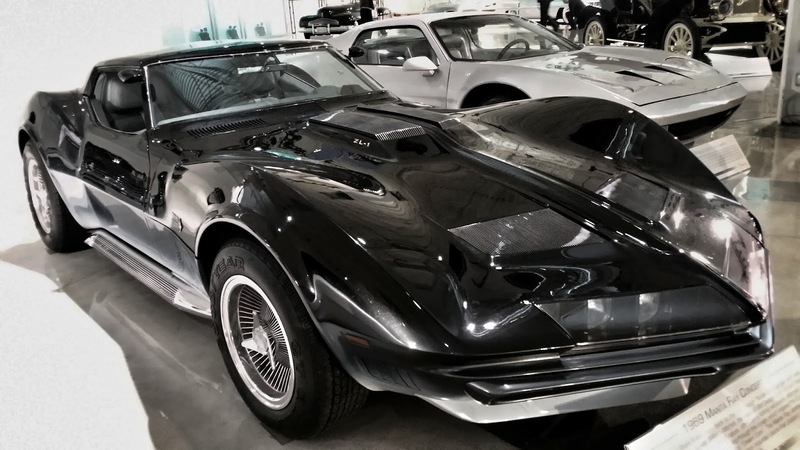 My favourite was the black corvette with all it's curves. It reminds me of the batmobile. One of the best parts of the trip to Detroit with GM Canada was the opportunity to visit and explore the city of Detroit. It is sad that Detroit has become a "bankrupt" city but I do see the potential for revitalizing the city. GM is poised under the helm of Mary Barra, the first female CEO of the major auto companies to turn the auto industry into a competitive market as shown with the awards at this year's NAIAS. I'm excited to showcase more of my experience with GM Canada in Detroit. This is the 1st installment of a 3 part series on my experience with GM Canada, Buick Canada, GMC and Cadillac. 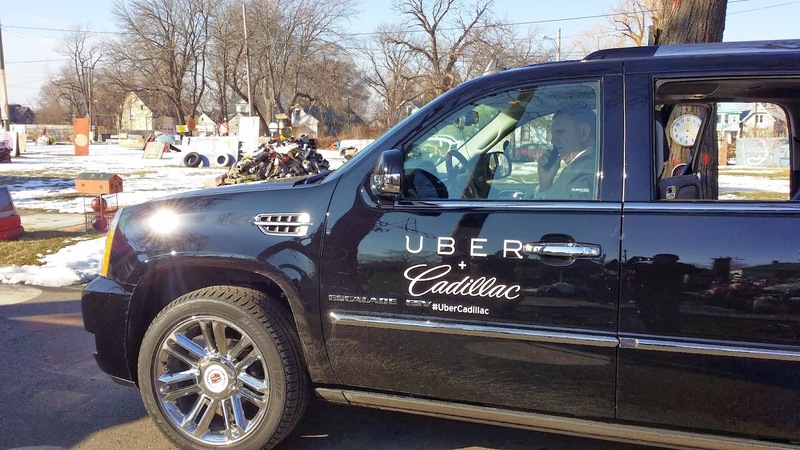 This Cadillac Escalade service in conjunction with Uber was a great way to explore the City of Detroit in style. Sing A Long A Sound of Music Sensation! 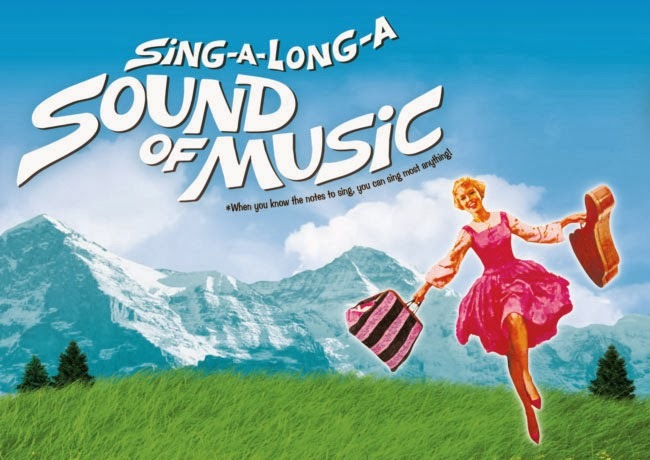 Sing-a-long a Sound of Music begins on Family Day Weekend at the Living Arts Centre on Saturday February 15, 2014 with a sing-a-long screening of the classic Julie Andrews musical film. The difference with this presentation is that the whole audience gets to participate so it's totally interactive. It is encouraged that the audience sings along with the subtitles on screen. Think of Karaoke meets theatre. Different right? Thanks to Living Arts Centre, I'll be giving away 2 tickets to Sing A Long A Sound Of Music. Enter below for FREE and Good Luck! Thanks to GM Canada, I'm honoured to return to the North American International Auto Show in Detroit Michigan. Throughout the next few days, I'll be tweeting live coverage of the GM Canada announcements. I'm excited to give you coverage from the various GM brands from my point of view. To give you an idea of my car knowledge, I know how to drive a car but my knowledge of cars is basic at the least. I don't know how to change a tire for the life of me. I do appreciate good design and have a good feel for comforts of a vehicle. I enjoy the new tech on new cars from my experience with various car brands in past including GM. 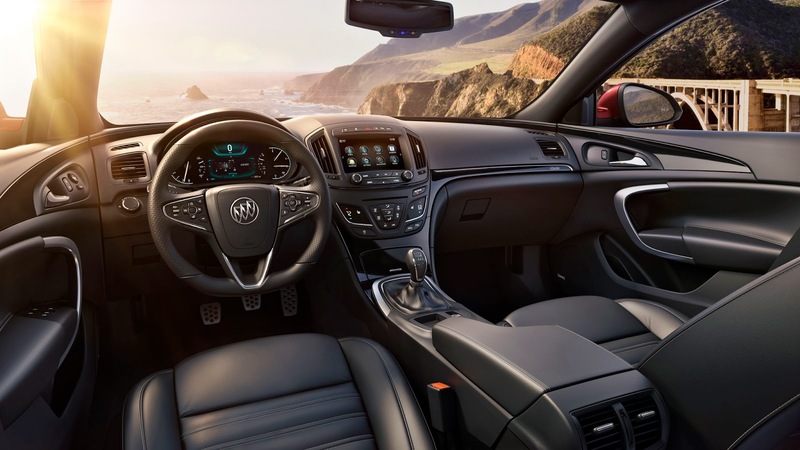 I have thoroughly enjoyed my experience with Buick Regal and the Buick Verano. 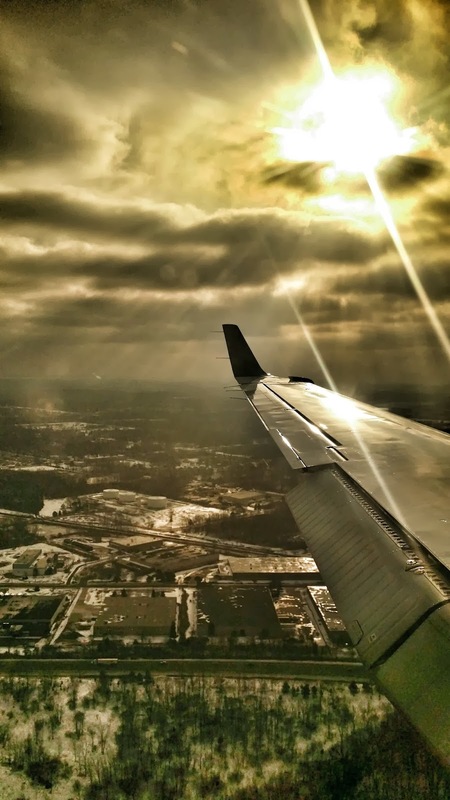 You can read about my recent Bucket List trip to Cincinnati with Buick Canada. I'm looking forward to seeing the corvette and the secret announcement from Cadillac. Hello and Happy New Year to everyone. 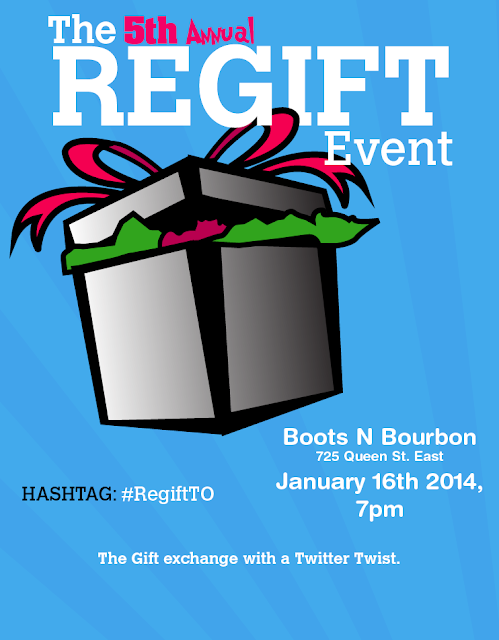 I'm happy to announce the 5th Annual RegiftTO Event which will be hosted at the NEW Boots N Bourbon Saloon. We will have more info to announce in the coming days but for now start finding and wrap your gift. The gift must be a unisex gift (minimum value of $10.00). RegiftTO is a social and fun way to exchange gifts with a twist. RegiftTO is like Kris Kringle for people you socialize with on Twitter. If you don't think you have a use for your opened gift the social aspect continues by asking others if you would like to exchange your gift, hence the social fun continues. We will countdown and unwrap the gifts all together at 8:30pm New Year's Eve Style! 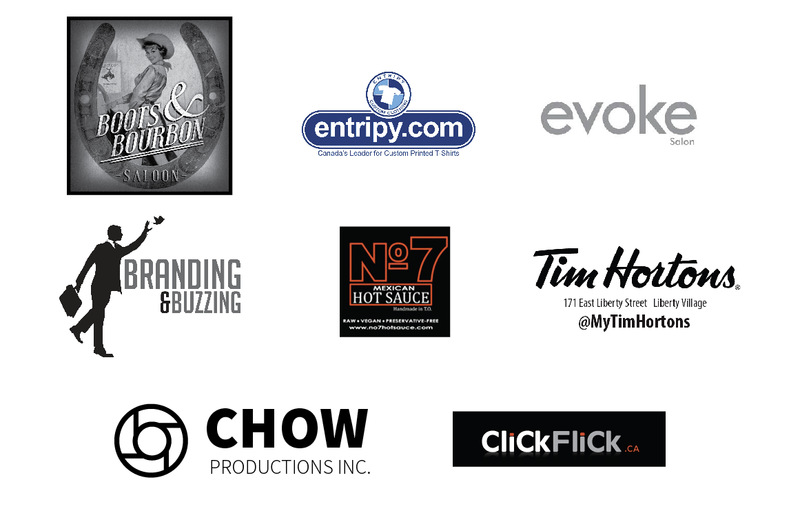 More details to come but for now just follow #RegiftTO hashtag for updates and new details. 725 Queen Street East. The main intersection is Queen Street and Boradview Avenue.